Hey y’all! 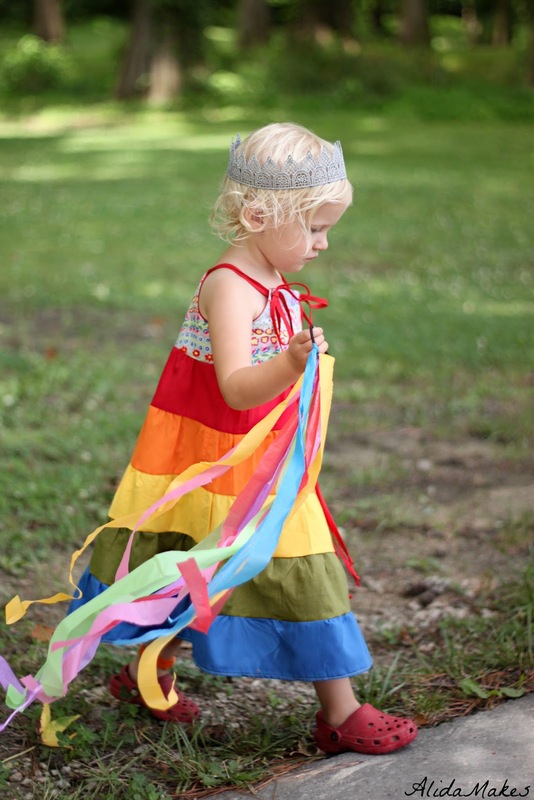 A while back on Alida Makes I showed you this pretty rainbow dress. 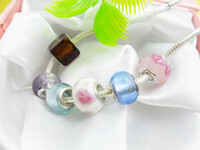 (Find more info and pictures of it on my blog HERE.) 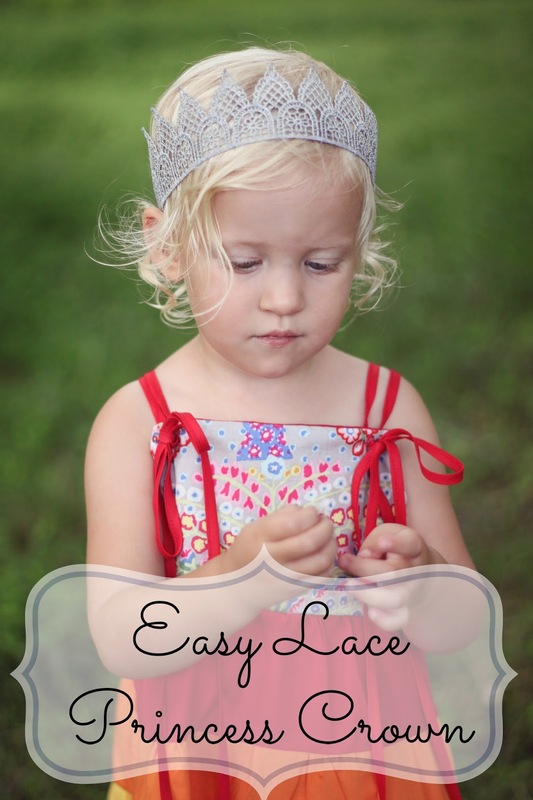 To go with it, I made a quick and easy lace crown. 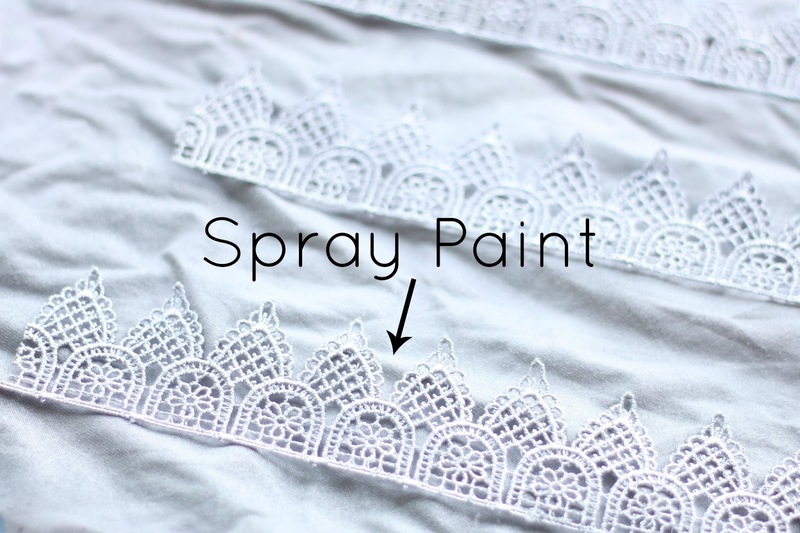 There are several DIY lace crowns on Pinterest, but mine is a little different. Mine is soft and flexible, more like a headband than a stiff crown. I love the scale and simplicity of it. And it’s really easy! 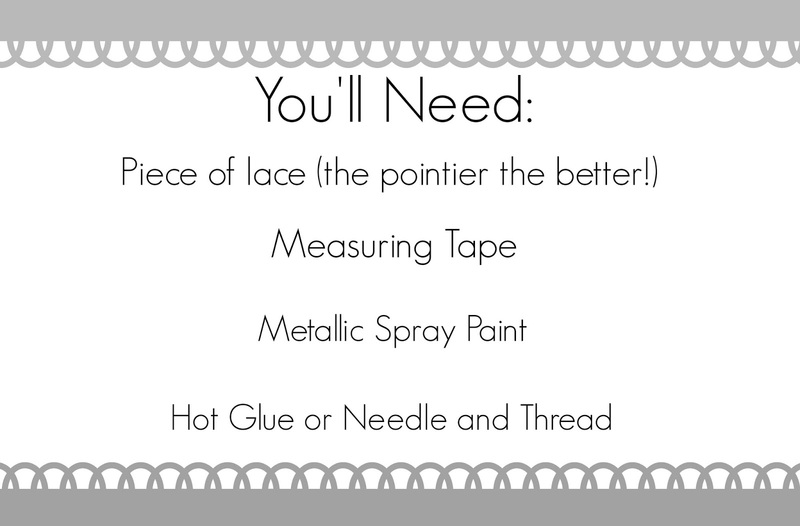 First you need to measure your head (or the head of whomever you’re making it for!) Cut the lace to the head measurement + a quarter inch. Spray paint both sides of the lace. Wait for it to dry. 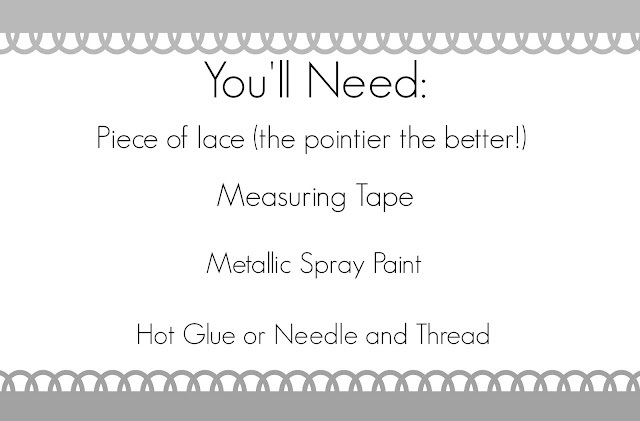 Overlap the ends and either sew it or hot glue it. And welp, that’s it! 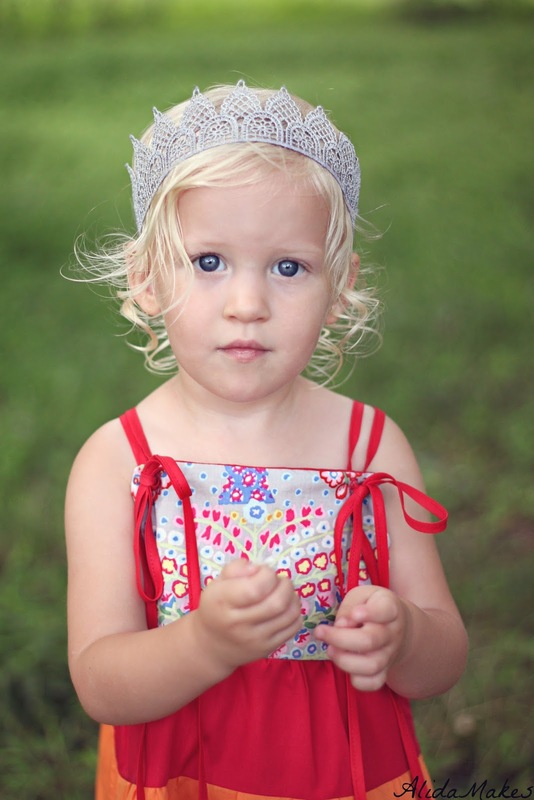 Stop by Alida Makes and check out the dress that goes with the crown!